March 1, 2018 — A young girl stands near an IRC mobile health clinic in Okiba, Yemen. 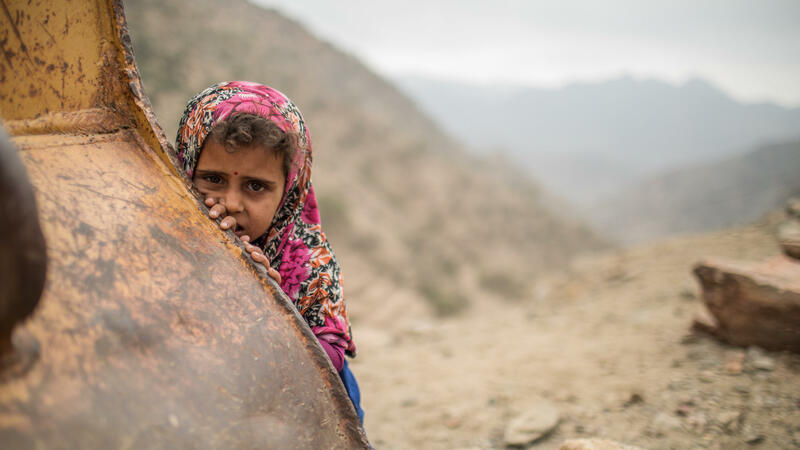 An International Rescue Committee mobile health clinic provides integrated health, reproductive health and nutrition services to internally displaced persons and host community members living in the remote, mountain village of Okiba, Yemen. The UK’s arms sales have been under scrutiny and came under focus again after the murder of journalist Jamal Khashoggi in Saudi Arabia’s Istanbul consulate. Urging the UK government to use the Magnitsky powers for anyone involved in the murder, including those who ordered it, Thornberry asked for financial penalties on those responsible and the suspension of UK’s sales of arms to this country. Hunt had said the reports about Khashoggi’s death, if they prove true, “are not compatible with our values”. The UK has sold at least £5.7billion ($7.47 billion) worth of arms to the Saudi-led coalition, which is fighting in Yemen since 2015, according to an analysis released by Sky News last month.